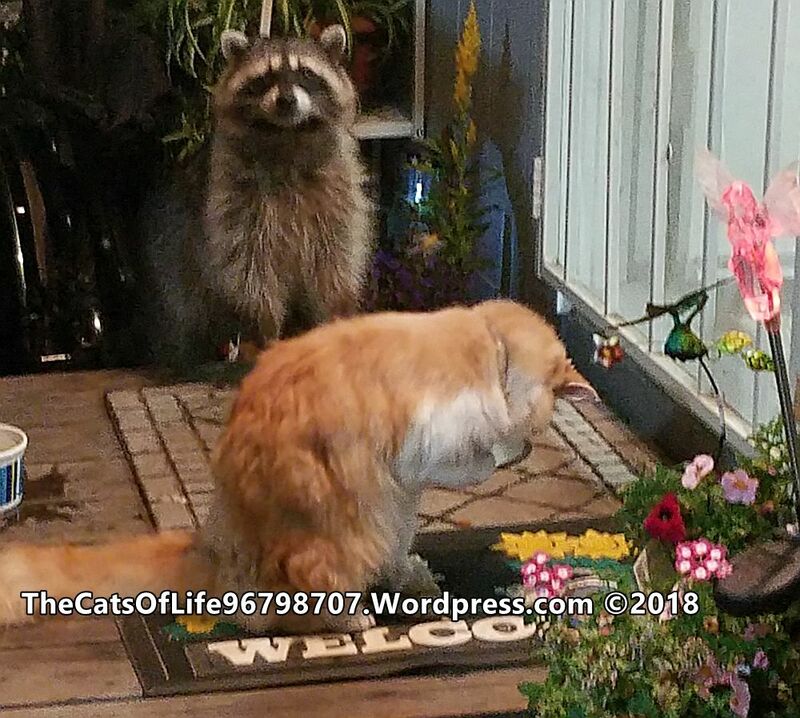 Thank you for visiting this Support The Cats of Life page. 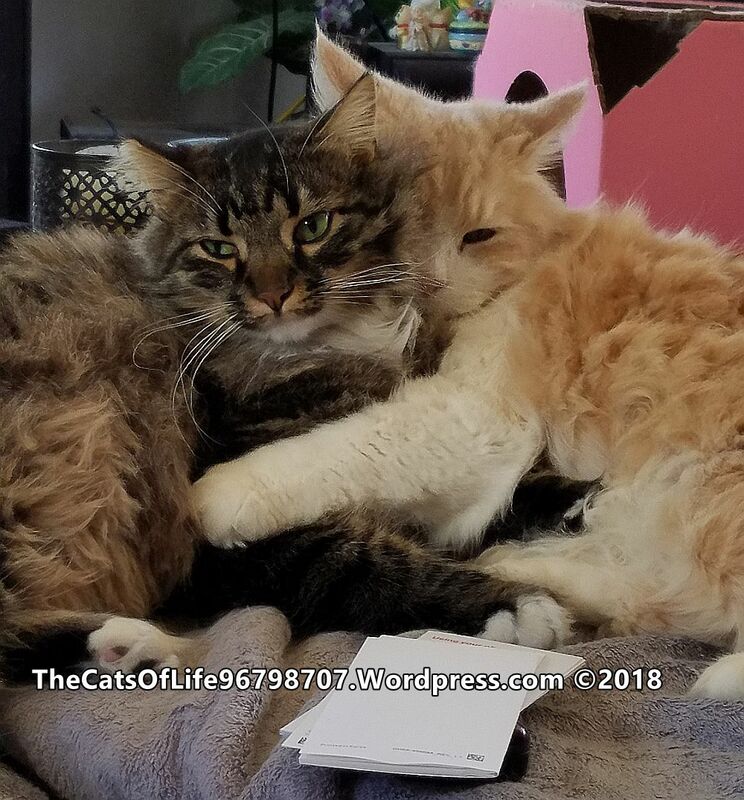 Whether you are here to see who our sponsors are and support them for helping The Cats of Life, or you want to support The Cats of Life’s programs including subscriptions, purchases, or your business listing, please browse below. You will find support by businesses and organizations that are here so far when you scroll down. These are either programs and businesses I support and recommend, or businesses and programs that support my efforts here whether with funds or in kind. Check back often so you can see who else is jumping on the bandwagon to help me make TCOL happen. If you would like to help, I have a program you can help with to and help make it happen. I will provide information to anyone that wants to know where the money goes, although this is not administered as a non-profit. It is difficult to manage that way, and this is much more efficient and can support TCOL’s work without red tape. Here is a way for you to assist in the program. First, you may want to visit my Mission Statement and Stated Goals to see what this is all about. If you agree with this, then look at the options here to support the work I am doing. I cannot do this without support, so I will depend on you and on sponsors to make it happen. PURCHASES, SERVICES, AND YOUR SUPPORT ARE SECURELY PROCESSED THROUGH PAYPAL. YOU MAY PAY WITH WHATEVER CREDIT OR DEBIT CARD YOU WISH TO USE, OR YOUR PAYPAL ACCOUNT. Please be sure you understand what you are selecting. CLICK HERE to subscribe to The Cats of Life Meow Times ONLY $19 Monthly Subscription This selection is as it seems. It is a subscription paid at the rate shown for those that want to maximize their help with The Cats of Life and will be provided an online email & archive subscription to the TCOL Meow Times Newsletter. You will get monthly tips, information, updates, list of supporters, events, and other notices that may not appear on the website or video channel or may be delayed posting there. You will also be informed where you can meet TCOL and perhaps some of my cats as scheduled. This information will be too timely to depend on the website for dates and times. You will be sent a link to the TCOL Meow Times Full Newsletter signup within 3 days of your payment. This will help with general funding, as well as offsetting costs of newsletter services. CLICK HERE for a better value to subscribe for a full year ($199) for a big discount. Please select ONLY ONE payment method (monthly OR full year), as you will only get ONE subscription. To get just the smaller “Free Express” version CLICK HERE to sign up. It will not have as much info and content, and will not address as many needs of cat owners as the regular Meow Times Newsletter. CLICK HERE Support TCOL – Equipment Purchases with a $50 Suggestion (you can increase the quantity to add more support) If you want to add more support, add to the quantity. This will help with continuing costs and purchase of equipment, programs, repairs, updates, and consumables such as ink cartridges to be able to create content needed to communicate with you and others. Producing videos is especially important, as well as audio and graphics, etc., to get the word out. CLICK HERE to Support TCOL- Helping New Cat Households (Scholarships) with $50 Suggestion (you can increase the quantity of households there) If you want to add more support and households, add to the quantity. 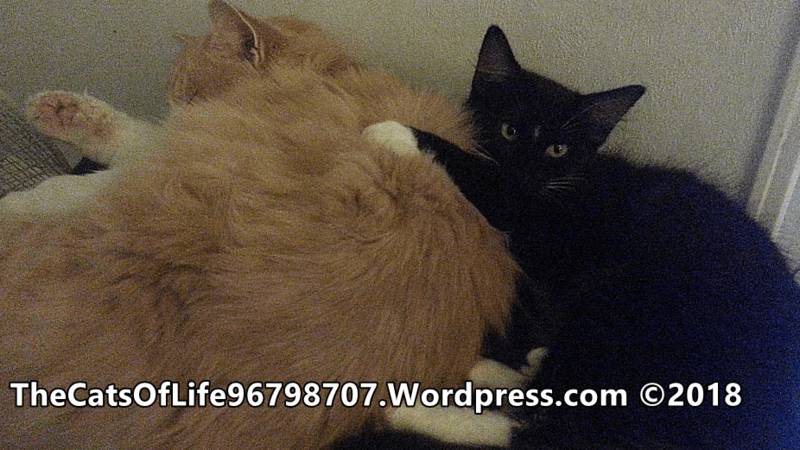 This is just a way for you to help a new cat household family get setup. You may feel it is wrong for someone to get a cat if they can’t afford it, and you are right. Keep in mind that just because someone needs assistance with new cat costs, it doesn’t mean they can’t feed it and take care of it properly. They may just need help to get the initial items I can help select. This includes helping with food, cat tree or toys, or other items that make a home more comfortable and happy for a cat. No cat should live in a plain room without toys and stimulation. CLICK HERE to support TCOL – Veterinarian Bill Assistance with $150 Suggestion (you can increase the quantity to add to your support) This amount is about what a simple procedure or visit should cost such as wellness check and shots. Of course, something like stitching up and antibiotics will cost about twice that, if you choose to be sure costlier procedures will be covered. If enough people share this cost at this rate, I can help people with their vet costs and have them pay back on terms for the next person. No cat should have to suffer with pain or injury. This will be for households that need just a leg up to get through the month for their suddenly sick or injured cat. CLICK HERE to support TCOL – Cat Adoption Assistance with $70 Suggestion (you can increase the quantity to add to your support) Many cat adoption or re-homing fees for shelters and rescue services are about this price, so selecting multiple quantities will essentially suggest how many cats you wish to help get adopted. This will help support shelters and rescues so a family can afford the adoption. More importantly, senior and difficult cats can be subsidized so they are now adoptable. When given the choice normally, people will tend to adopt the cat they feel closest to and easy to take care of. By putting assistance on a specific cat, it is incentive for them to chose a more difficult selection with health issues, age, or attitude problems we can work on together. TCOL can also help the family afford to buy startup items such as litter, box, food, toys, and items needed to get a new cat comfortable if new cat scholarships are not available. This money will be subject to repayment over installments. This will help create more homes for cats and help clear out some space at these shelters and rescues. This money will NOT be made available to breeders or adoptions through individuals. CLICK HERE to support TCOL Service Costs & Subscriptions – with $25 Suggestion (This is ONE MONTH of HELP. You can increase the quantity of months to add to your support) This small subsidy will help me pay for subscription services, content services, and anything else that requires me to pay subscription services for access to things needed to reach out to people or pay for subscriptions that are needed to get my work done. I may have to pay for advertisement or sites that provide what I need to do this work, as well as business cards, signage and displays for expos, forums, flea markets, shows, and the like. I can then set up tables at events. CLICK HERE to support TCOL – GENERAL SUPPORT with $60 Suggestion (only ONE TIME. Please increase the quantity of months to add to your support). This small subsidy will help me pay for needs of my own cats, my personal needs, and general household expenses to afford to keep this good work going. If you want to see things continue, this selection is important to keep it feasible for me to do. Just imagining giving up your source of income to take on a special cause. How long would you last? I assure you that my life is such that there will be no splurges or special purchases above survival and need. Thank you for selecting this choice in addition to your other choice(s). Would you like to just make a purchase and support that way? You can also support TCOL and myself by making a purchase of items from the Jerry’s Attic Facebook Page. or TCOL Instagram. Just go there and see what is for sale. You will find posts of items along with posts of other interest. You will also find occasional affiliate links to items I suggest to you, all highlighted in GREEN. These sales will help with commissions. I have two sections of listings for businesses and services. The first section is for those that are helping support TCOL. The other listings are for businesses I think you will find useful, followed by specific listings I personally recommend. I have a special listing of shelters and rescues in the San Luis Obispo County, Northern Santa Barbara County area. Be sure to check out vets and supplies, as well. This is the area for businesses and services or organizations that have an interest in seeing TCOL live on and flourish. Give me a little while to get some sponsors posted here. If you wish to be a sponsor, just contact me to find out what it takes. Cash or in kind. 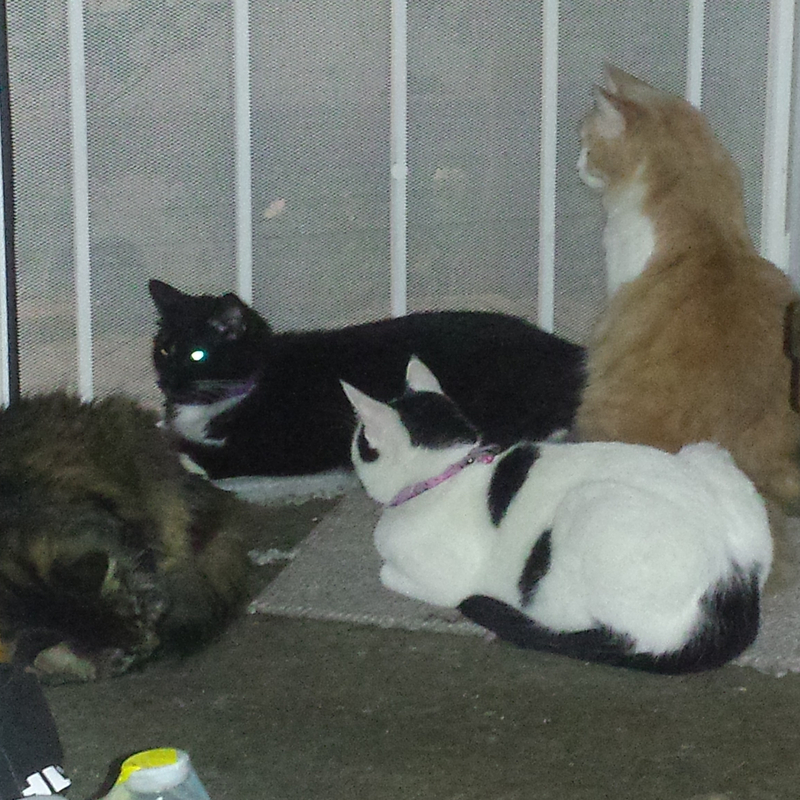 Your support would really be appreciated by myself, and the cats that will benefit. Sponsors will be posted here and classified below in our Service Listings. This is the area for businesses ,services or organizations that provide products or resources for you. Most of these are on the Central Coast of California to service our local visitors, but several are either online or part of a broader marketplace. Check them out and let them know you found them here. These are important places to know so you can visit them, adopt there, volunteer there, and support them with donations or supplies. [R] Woods Humane Society 875 Oklahoma Ave, San Luis Obispo, (805) 543-9316, and 2300 Ramona Rd., Atascadero, (805) 466-5403 is a great service for adopting and providing lower cost spay and neuter. They allow volunteers, foster cats, accept donations of money and supplies (call to ask what they need), and have just remodeled to provide a better home for their cats. I adopted Miggie there, and have been very pleased with her. They often have reduced adoption fee events, but pay full price anyway. It is worth it. Also, they will accept certain pets, but you need to provide donation for supplies and costs. Watch for their special events as well. they also have a small gift shop to get some initial items for your new cat. [R] Cal Poly Cat Program CLICK FOR INFO located at Cal Poly and PetSmart, has adorable and fantastic cats for you. They will accept donations of money and supplies (call first) and also provide PetSmart with cats in their cattery display. Ask at PetSmart for discounts for your newly adopted cat. Cal Poly cats are fairly affordable, and I got my cat Lily there. She was well cared for and healthy. They provide vet services prior to adoption so you know they are in good shape. San Luis Obispo County Animal Services 885 Oklahoma Ave, San Luis Obispo, (805) 781-4400. This place is not upbeat, but their cats need just as much love as any others. Woods occasionally gets cats from here, but they do euthenise when they believe it needs to be done. Did you or a friend lose a cat or dog? Call the Daily Found Animal Recorded line at (805) 781-4407. You can call to see if they need volunteers or supplies as well. Petfinder I know nothing about this service, but provide it here for you. They seem to show available cats but I can’t tell if they are all single person or some shelter and breeders. Santa Maria Valley Humane Society has special events and help low income pet owners. Did I miss some? Please comment below to let me know of other sources I can add. Finding the right veterinarian is very important. He or she must have good rapport with your cat and with you, must have good bedside manner, good staff, and a well run office because you don’t need problems with your cat is sick or injured. Suppliers must be knowledgeable and trustworthy. [R] Mission Animal Hospital 3973 S Higuera St, San Luis Obispo, (805) 781-8888, next to Trader Joe’s and Food 4 Less, is my first choice for vet because of the doctors, staff, and location. They follow up personally, provide cards with your pet information embedded, and make accommodation for special needs. Great vet office. Only disadvantage is no night emergency service, but they have a referral to another vet. 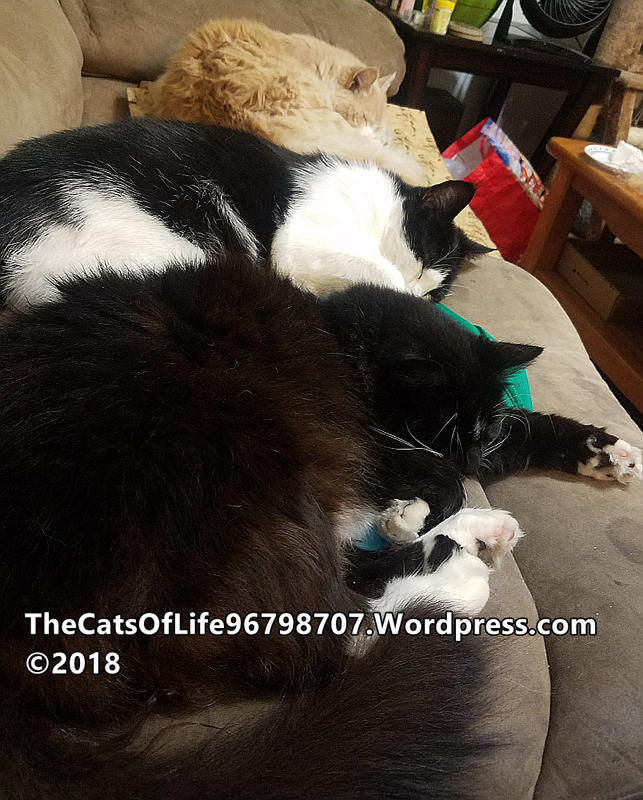 [R] Edna Valley Veterinary Clinic and Surgical Services 4860 Davenport Creek Rd, San Luis Obispo, (805) 541-8246, is the vet my cats and I have been with the longest. They have mobile services for vaccinations/chips/worming/etc., discounts for adopted animal with free wellness exam. They have boarding, and deal with animals big and small including horses. Disadvantage is no night emergency service. [R] Lemos Feed & Pet Supply has several locations. Just go to the MAIN WEBSITE for information. They will help you find what you need and provide great customer service. They handle the high end products, and will even carry out to your car. They also have mobile vet services at various locations on specific dates. You don’t need to have issues when you need to get home and feed or play with your babies, you don’t need someplace too expensive, and you don’t need to run around to multiple places. Get it done, love your cats. These are Personally Recommended by TCOL from personal or known experiences. VIOLET colored name means it is a highly recommended listing! Dave’s Automotive 847 Ricardo Ct, San Luis Obispo, (805) 543-3366, has a 5 star rating with OVER 100 reviews on Yelp, which is not easy to achieve. I visit him regularly and highly recommend him. He is not the easiest to get into on short notice, but that is because he is so popular. His workmanship and advice is phenomenal.